The price of Infosys Technologies’ stock last week plummeted 10 per cent to Rs 923, thanks to the unsurprising exit of Vishal Sikka as the chief executive and managing director of the company. Worse, since his exit has been shrouded in controversies, the confidence that Sikka had built up in the stock since his appointment three years ago has also thinned significantly. The exit was indeed inevitable and that is clear from the fairly incisive questions raised by co-founder N R Narayana Murthy – now in the public domain. The questions dwell upon Sikka, the board’s conduct, the Panaya acquisition, and the severance package given to former chief financial officer Rajiv Bansal. The governance issues raised by Murthy give an impression that the board had not acted fairly on the whistleblower report highlighting malpractices during Sikka’s regime. 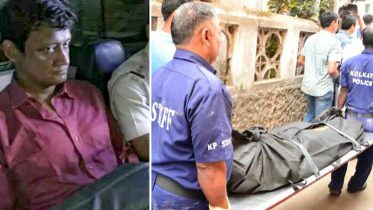 In questioning the processes followed by the company’s board, Murthy represents himself and “some well-meaning shareholders” who consider the findings of the independent investigation dubious. Given that the rift had started emerging a few months ago, Sikka’s eventual exit was hardly a surprise. However, a market discomfiture compelled the company to announce a Rs 13,000-crore buyback plan, comprising the purchase of 4.92 per cent outstanding shares at Rs 1,150 apiece. The offer encompasses the entire amount committed for shareholder returns after the March quarter of 2016-17. Infosys has also committed to making a payout of up to 70 per cent free cash flows by way of dividend starting 2017-18. But these dole-outs might not be enough to reverse the crisis. The overhang on the stock will persist unless the fundamental issues are tackled well. There are several aspects to what could evolve going forward. First, in the immediate term, there will be legal fallouts. US-based firms like Rosen Legal and Bronstein and Gewirtz & Grossman have initiated an investigation of potential securities claims on behalf of Infosys shareholders (ADR is 16.69 per cent of total outstanding shareholding). These draw from the allegations that Infosys might have issued materially misleading business information to the investing public. Lawsuits might gain currency when large shareholders file the case. So, the company is exposed to a risk of long-drawn legal battle. Earlier, three years after its acquisition of Satyam Computer Services, the Mahindra group had to pay $200 million due to lawsuits. So, it is unclear whether Murthy’s definition of “some well-meaning shareholders” included the broader set of minority shareholders. Besides, there is also a risk to business continuity. 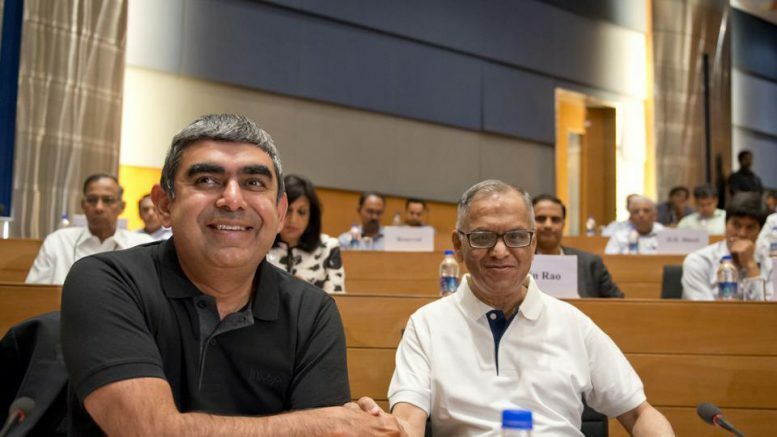 Sikka was perceived as a thought leader on technology evolution under whose mentorship, Infosys created a robust ‘New Services and Software’, which accounts for 50 per cent of the incremental revenues over FY15-17. The traditional service lines grew at a modest rate of 3.9 per cent CAGR (compound annual growth rate) under his regime. Clearly, against the backdrop of declining margins, decelerating revenue growth, and rising attrition, Sikka’s appointment in mid-2014 had brought about a sense of confidence among all stakeholders. Against an uncertain and challenging macro backdrop, clients might prefer to partner with stable managements. Therefore, competitors like Tata Consultancy Services and Cognizant could gain. However, this is at best an effort to preserve the existing business. The company’s ability to renew high-competition deals and secure new transformational deals could get impaired in a significant way. There is a two-three per cent downside risk to revenues in 2018-19. The operating profit margin could also decline by about 50 basis points due to an impairment in pricing power and the need to invest more in sales to maintain the deal momentum. Additionally, finding a replacement for Sikka by March 2018 would be challenging, especially as there are not many choices internally. This will put at risk the entire investment and toil the company has put in over the past three years. Does Sikka’s exit automatically mean the board will become clean? Is there a problem with the selection process to begin with? Murthy has emphasised the need to put up all information, including those considered confidential, in the public domain. Will the board follow that? At stake are the brand reputation, client conversation, investor confidence, employee morale, and business transformation. All of these could affect its financial performance as well. Clearly, the stock can see further valuation downgrades from a medium-term perspective. 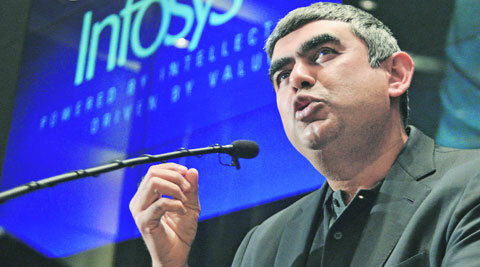 Be the first to comment on "Infosys saga explained: Vishal Sikka’s exit and erosion of shareholder value"